New edition of Casino Fatale! Ever since its launch back in 2005, Casino Fatale – our suave and sophisticated murder mystery of spies, gambling, and continental glamour – has been one of our most popular. We've now released a new edition of it – which combines the ten characters from the expansion pack into the main game. So now when you buy Casino Fatale, you'll get all 30 characters included as standard! 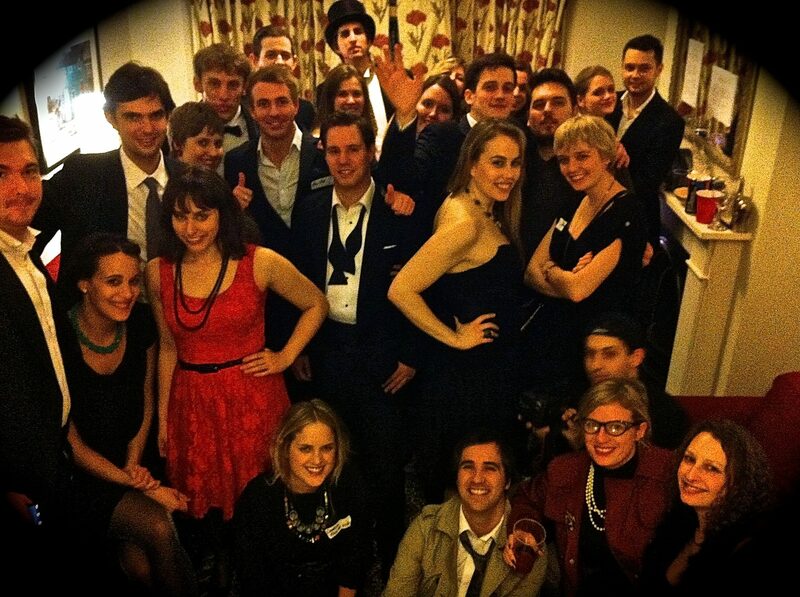 "Casino Fatale was our first murder mystery. We had a wonderful time. Everyone loved being able to dress up for the night of high stakes gambling. Our guests had so much fun trying to solve the murders that happened that after the game was over, they wanted to continue to try to figure out who killed the other people! Needless to say everyone was impressed with the way the game was played and the fact that there are no scripts, giving everyone the ability to make the character who they wanted it to be." If you've signed up to this newsletter you've probably already downloaded our free version of our classic Western-themed murder mystery, Way out West – and if you haven't, why not? But we have now created a new edition of the free version of Way out West – as a book! If you don't fancy the idea of printing out our pdfs or reading them from the screen, you can now read the book. Of course, you can't really host or play a Way out West party just using the book – but you can always download the free game files from us if you want to do that. 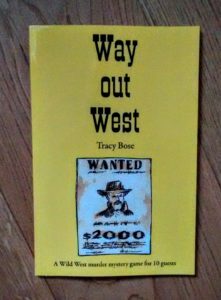 Physically, Way out West is 6x9" and 85 pages long, and was published using Createspace. You can purchase it from amazon.com or amazon.co.uk. It's been a while since our last new murder mystery game launch, but you'll be pleased to hear that there's another one in the works! On 4th September, in London, we're going to be playtesting The Food is to Die For – a fabulous forkful of felonious frolics, set in the world of fine dining. Whatever the name, this is THE restaurant in town – where anyone who’s anyone is seen dining and people watching. Celebrities, politicians, philanthropists, foodies, they all wait and wait for than chance to get a table. Tonight is a special night – C. J. Charles, the most discerning and respected restaurant critic in the business, is dining here tonight, and is going to write a review. The Food is to Die For was written by Anastasia Kulpa, who also wrote our fabulous cold-war-college-capers mystery The Spy Who Killed Me. It's for 12–15 guests and a host, and if the playtesting goes well, it will be on sale before too long at USD 29.99 / GBP 20.00!